With the start of the new year, get creative with your teambuilding activities and give your employees and colleagues a chance to relax and unwind while able to bond away from the work place. That being said, we have compiled a list of why you should be packing up and heading to the Tsitsikamma Village Inn for an action-packed adventure with your colleagues. We have beautiful, fully equipped conferencing facilities for all the nitty gritty. Yes, teambuilding activities are fun and may require you to work together physically, however a get-together in a gorgeous, green area to discuss and plan the year ahead counts too. We cater for up to 80 delegates and we provide everything from the projector to the pen and pad. We are a great base to explore the area. We are a central location from which our guests are able to explore hiking trails, the Tsitsikamma National Park, and the Bloukrans Bungee off the suspension bridge. There are also a number of fun activities to enjoy as a group, such as the Segway forest tours, black water tubing, canopy tours and kayak & lilo adventures. You are spoilt for choice. You are spoilt for choice within the village, too! When the day is done and you need a place to relax in the evening, we offer four different options for you to choose from. De Oude Martha restaurant is popular for the hearty, tasty and generous portions we serve. Hunters pub is rich with history and is beautifully decorated. Marilyn’s 60’s Diner is a well-known must-see along the Garden Route, and offers giant burgers and milkshakes to be enjoyed to the sounds of Elvis and the Beatles. The Tsitsikamma Microbrewery offers lots of their own original craft beers, local beers and they do food too. They also have lots of beer. BEER. You can extend your workshop without breaking the bank. 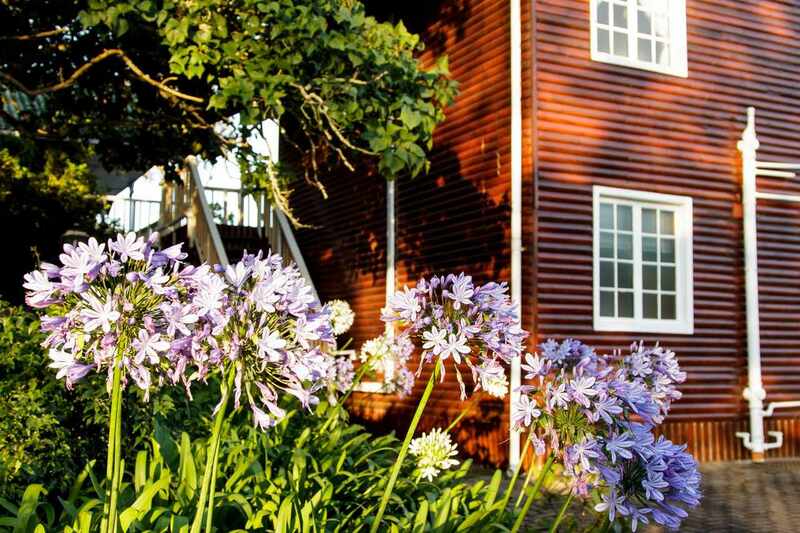 The Tsitsikamma Village Inn offers 49 unique and individually decorated rooms, each with its own bathroom. We offer affordable rates for excellent service and a comfortable stay. PLUS – this means you can spend some extra time at the microbrewery, did we mention the craft beer? Get in touch with us about organizing your next teambuilding adventure – village life style!